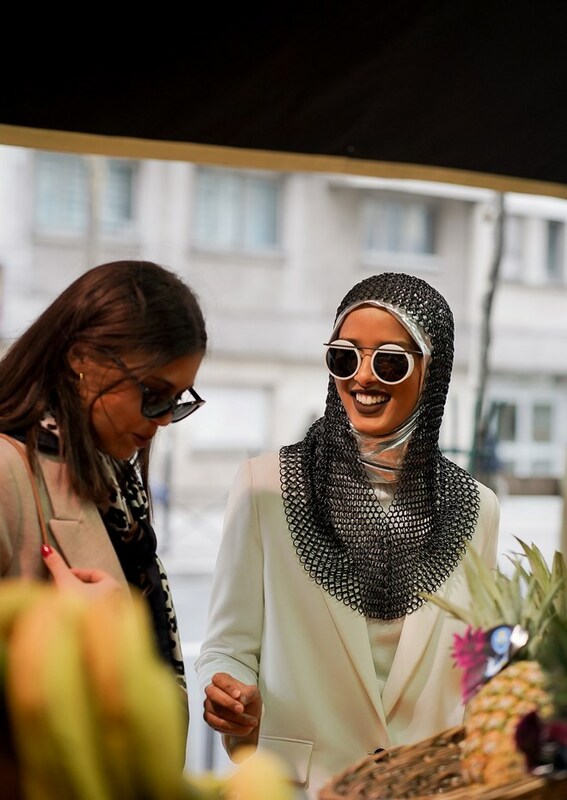 Friday March 22, 2019 (RBB NEWS) – As a number of designers were heralding a return to glamour on the runways this season, Rawdah Mohamed, a 27-year-old Somali influencer living in Norway, was delivering it on the streets in the form of face-framing feathers, dramatic eyewear, and even a medieval-style mesh snood, all of which she wore with a hijab. 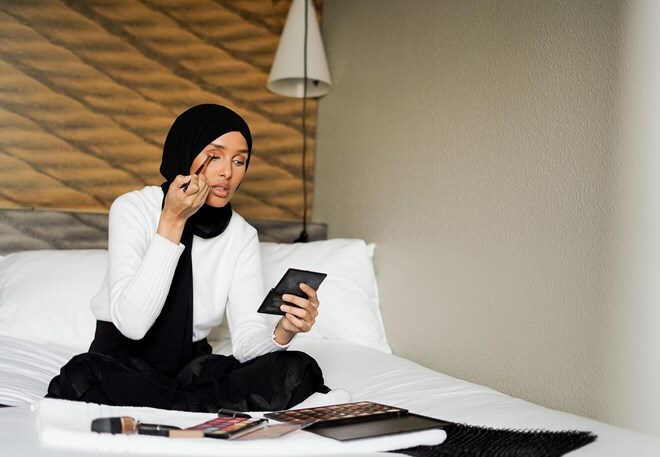 Grandeur suits Mohamed, a healthcare professional working with autistic children, who can trace the start of her international street style career back to last August when she attended Oslo’s Spring 2019 season; between shows, she found time to sign as a model, due to her striking features and unconventional style. 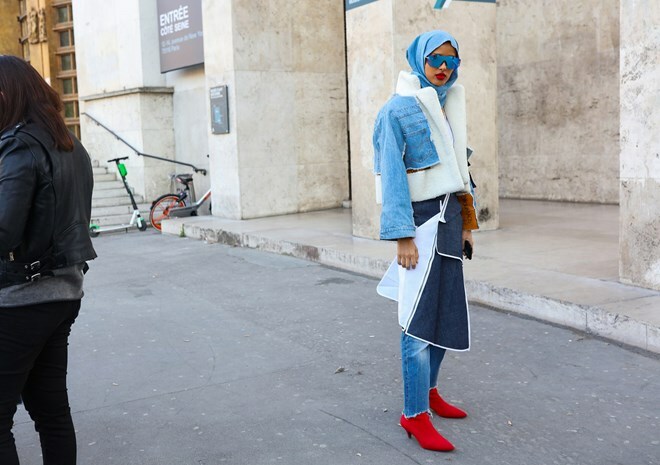 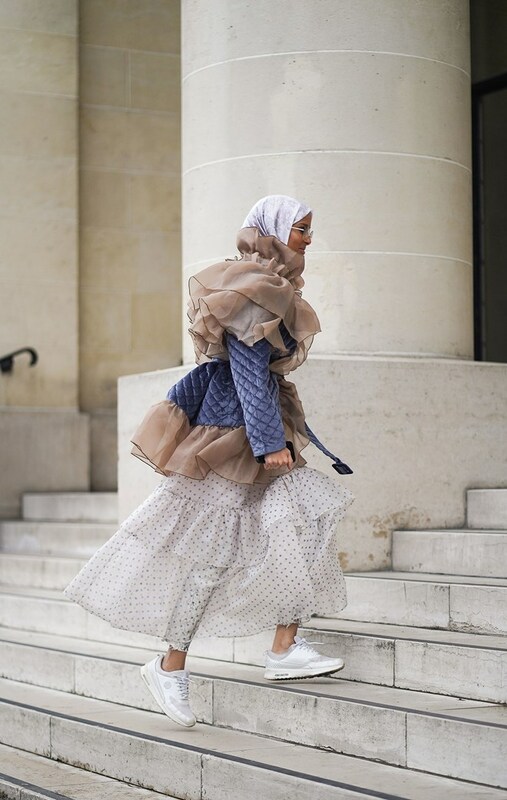 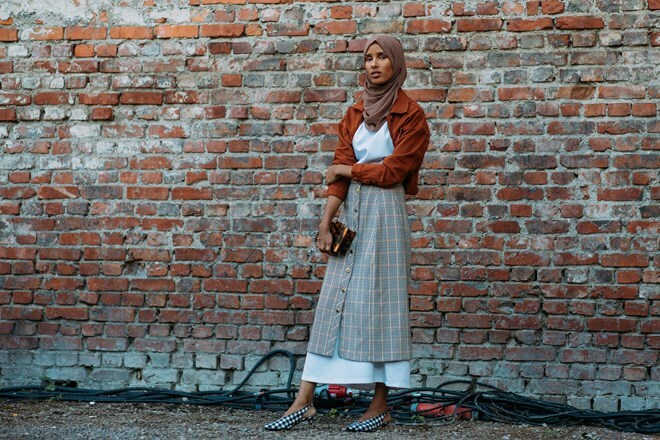 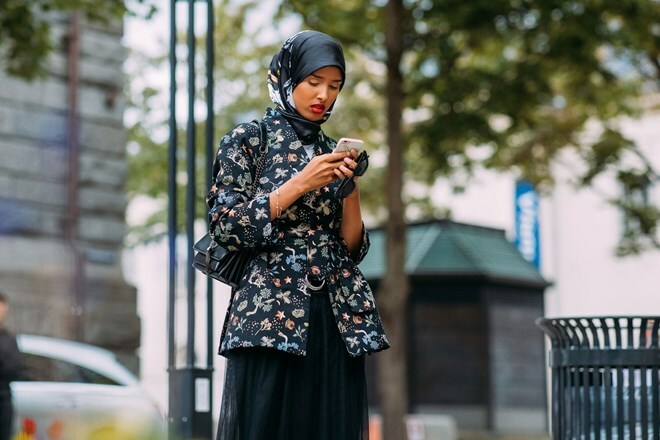 Mohamed was active on Instagram before that, though, followed mainly by modest-dressing Muslim women who were intrigued by her ability to take readily available pieces—from H&M or Zara, say—and pair them chicly in what she calls an East-West mix.